Allparts Wire Vintage Style Cloth Wire. 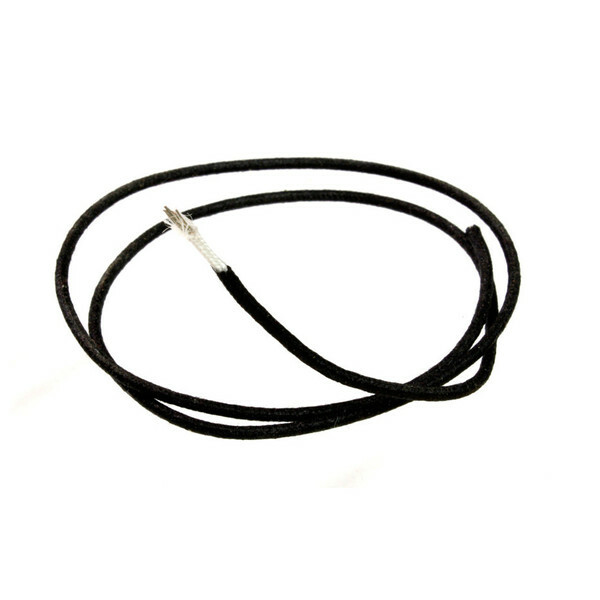 This black cloth wire is a very useful tool to help support and protect your guitar and can be used in many different areas. It is a 22 gauge, single conductor stranded wire with a waxed braided cotton outer insulation material and is unshielded. The Allparts wire is 25feet/7.6m long.